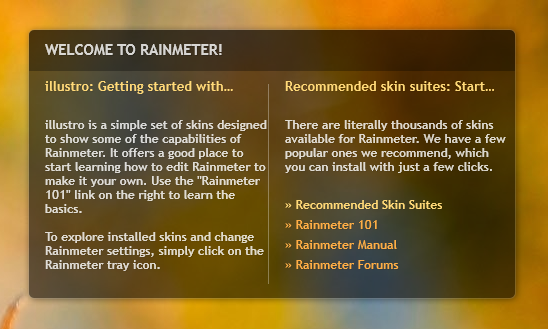 The team is very excited to get working on a major change to Rainmeter. This change is why we have decided on a 3.0 version rather than 2.6. During the 3.0 beta cycle, we are migrating from an older GDI+ graphics/text rendering system to the more powerful Direct2D system found in Windows 7 and later. The initial effort will be focused on vastly improved font rendering in String meters. The current font rendering method really results in poor quality display, particularly with smaller font sizes and anti-aliasing. As you can see from the screenshots below, the new font rendering results in much higher quality text. However, there are still some issues (like issues with wrapping and a few missing features) that need additional development work. For this reason, we chose to keep it optional and "opt-in" by default for now. The new font rendering requires Windows 7 or later. To enable it, set UseD2D=1 in the [Rainmeter] section of Rainmeter.ini. Rainmeter must be restarted for the changes to take effect. See the end of this post for a list of known issues. 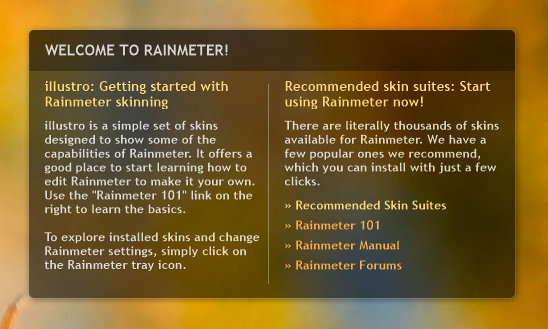 In the Windows notification area, right-click the Rainmeter icon and select "Edit settings". Add the entry UseD2D=1 to the [Rainmeter] section. Exit and restart Rainmeter. The new font rendering is powered by a combination of Direct2D and DirectWrite. The old font rendering is provided by GDI+, which is still used to render the majority of things (drawing lines, image scaling, etc.). As a result, only String meters will differ in quality at this point. In the future, we will likely make further use of Direct2D and the new capabilities it provides. With UseD2D=1, your CPU usage and memory consumption may differ. If you notice substantial differences, please post before and after numbers for CPU usage and memory consumption. Below is a list of features that do not yet work with UseD2D=1. Wrapping and relative positioning behavior is slightly different. We hope to minimize the differences between the new and old font rendering in upcoming beta releases. If you notice some oddities, don't hesitate to post. wether the font rendering is better is a matter of taste and probably also depends on the font. at least with the font i use (look at the descriptions in the news feed) i think the GDI kerning is superior. Direct2D does not recognize all fonts. i use FontFace=Source Sans Pro Semibold for some of the of the text. the default font is used with Direct2D. you guys sure this is only about fonts? it seems to break really simple calcualtion (for example for the white frame around the pictures. not here and i have got it installed as well. i have only the TTF installed though. can Rainmeter use OTF with Direct2D? moshi wrote: can Rainmeter use OTF with Direct2D? Yes, but only if it is installed on your system. There is no support for LocalFont/@Resources/Fonts at this time, but we are working on it. Yeah, I deleted my post as I found that although it does not seem to be using the "default" font (I assume that is still Arial), it isn't using the correct one either. That "g" you posted the image of is not what is used, nor is the "1" correct. Not sure, we are going to have to poke around with it a bit. looks like the Segoe font family to me. moshi wrote: looks like the Segoe font family to me. I think the issue is with the "Semibold" on the font name. In Rainmeter, when a font file has a postfix to the font name like "verdanab.ttf", which has a "font name" of "Verdana Bold", the "family name" is still just "Verdana" and you get the effect with StringStyle=Bold. FontFace in Rainmeter is the "family name", not the "font name". 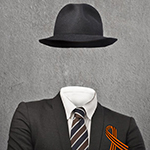 Now, since there is no StringStyle=SemiBold, that obviously is not possible, and I think that is throwing it. Not sure why it ever worked in GDI+ and now doesn't in D2D, but we will explore that further. Trouble is, although you can then use StringStyle=Bold and that works, that is not the end result you want I suspect. the file name is irrelevant. copy verdanab.ttf to the desktop, rename it to 558ds8s5d.ttf. try to install it. what matters is the font name (not the file name) and the font weight (style). this information is stored multiple times in a font (for different OSs, PostScript,etc.). what i encircled in blue is why it works in GDI. now Direct2D is probably reading the needed information from somewhere else. i suspect at the bottom (preferred family, preferred style). so maybe you are on the right track with StringStyle. Correct. I never meant to imply that the "file name" was of any importance at all. It is not. What matters is the "font name" which may be "MyFont Bold" and the "family name", which would be "MyFont". My point was that Rainmeter only cares about the "family name" and will insist on a StringStyle=Bold on the meter to use the font with the "font name" of "MyFont Bold".